By Joshua Molina, Noozhawk Staff Writer | @JECMolina | October 1, 2018 | 7:13 p.m. 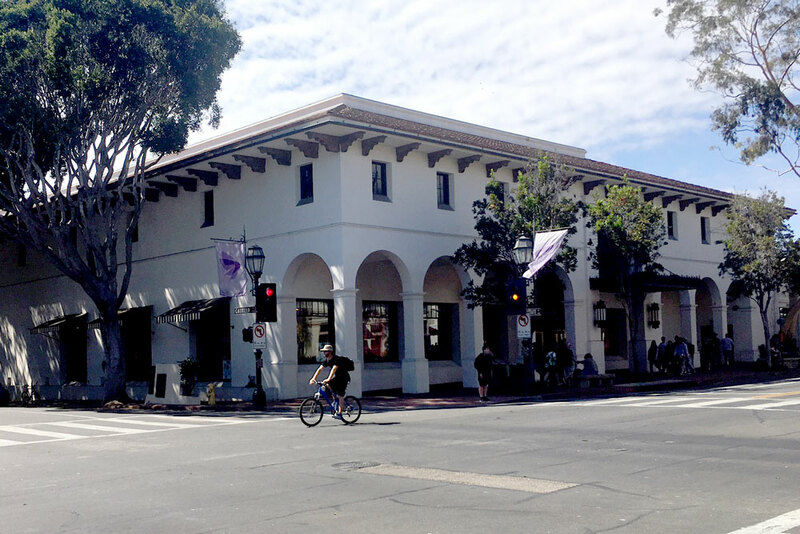 The Saks Fifth Avenue building on State Street in downtown Santa Barbara has been leased to a Fortune 100 company, and multiple sources are telling Noozhawk that Amazon is the likely tenant. However, all parties involved in the project have signed nondisclosure agreements, so the name of the new occupant could not be confirmed. Austin Herlihy, executive vice president at Radius Commercial Real Estate & Investments, said the building at 1001 State St. has been fully leased, and construction on tenant improvements will begin in early 2019, with tenancy happening by the end of next year. Sources say the second floor of the building will be office space for software engineers, and the bottom floor will contain some type of retail component, as much as 5,000 square feet. "The ownership is very excited about being able to fill this building," Herlihy told Noozhawk. "This will definitely be a ray of sunshine on State Street." Architect Brian Cearnal represents 1001 State Street Partners, LLC. The Saks building is owned Michael Rosenfeld, CEO of Woodridge Capital Partners. The project has been to the Historic Landmarks Commission three times in recent months. Cearnal said he has heard the rumors about Amazon moving into the building, but could not confirm them. "It's a high-tech tenant supposedly on the Forbes 10," Cearnal said. "It's going to be all high-tech, high-paying jobs in Santa Barbara." Cearnal said his scope of work is to bring more light to the second-story for employee offices. State Street has struggled with retail vacancies the past several years, but the presence of Amazon likely would give the artery a much-needed adrenaline boost. Downtown property owner Ray Mahboob said Amazon has been knocking on Santa Barbara's door. "Amazon was looking for space downtown, and there aren't too many tenants who can pay $2 million a year in rent," Mahboob said. "The Saks building being leased to Amazon would make it the biggest (dollar amount) retail lease in the history of Santa Barbara." Mahboob said the largest retailer in the world having enough confidence in Santa Barbara to open a store on State Street would be great for everyone. "Apple, Facebook, Google will most likely take notice to Amazon's move and want to open satellite offices," he said. He said State Street would see "a huge boost to downtown in retail traffic." "We might regain our title as Silicon Beach," Mahboob said. Amazon did not return Noozhawk's calls on Monday seeking comment. When asked if Amazon was moving to Santa Barbara, a woman who answered the phone at Graphiq, a Summerland data-analysis company acquired by the company in 2017, told Noozhawk, "We're not allowed to talk about that." Amazon has experimented with different retail approaches around the country, including Amazon Go, a cashier-less store where people can walk in and walk out with items. The purchases are automatically tallied on the customers' smart phones. Amazon also has opened stores that only sell the company's top-rated products, four stars or more. City Administrator Paul Casey said he has had talks with the project team. "We've been told it's a Fortune 100 company that we will like," Casey said. Cearnal said a retail component on State Street would be exactly what the city needs. "We don't want a blank storefront," Cearnal said. "We need this to have some kind of connection to people on the street, maybe a museum or a retail component."